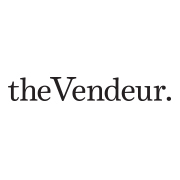 This Affiliate Compensation Disclosure has been posted on the The Vendeur or has otherwise been linked to in a post or article since The Vendeur sells and thus receives monetary and other forms compensation from Affiliates for various advertising, sponsorships, and promotional campaigns that we feature on the website and social media channels. Thus, there is paid connection between each product or service mentioned, reviewed or recommended on this Site and the Affiliate (i.e., the owner of that third party product or service). If you ultimately decide to purchase a product or service mentioned on the Site, The Vendeur may receive additional compensation from that purchase from the Affiliate. Every effort has been made by The Vendeur to provide true and accurate statements in regards to any and all products or services mentioned, reviewed or recommended by The Vendeur on this Site. Further, The Vendeur posts or otherwise promotes content, including editorial content, which may feature third party products and services (the “Affiliate Products”) and which may link to third party owned and operated web sites where you can purchase Affiliate Products. Any time that you click on a link to an Affiliate’s Product on the Site and then follow the link to purchase an Affiliate Product on the Affiliate’s web site, The Vendeur will receive compensation from the Affiliate offering the Affiliate Product. The content featuring Affiliate Product(s) may not always be identified on the Site as paid or sponsored content and the compensation that we receive from Affiliates may influence what content, topics or posts we make on the Site and where they are posted.